Your new window film will take about 3 to 5 days to fully dry, sometimes a lot longer depending on film brand, type, and weather conditions. Until this time your tinted windows may appear hazy or lumpy and it may seem like you have water bubbles. 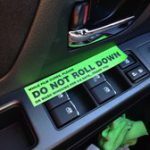 Do not roll your tinted windows down until fully dry! Window Film may be cleaned with a soft clean cloth and alcohol based cleaner or plain water. Ammonia products should not be used! 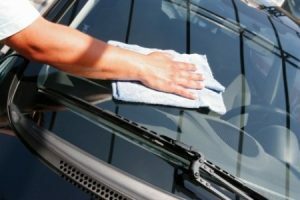 To avoid scratching the film, do not use bristle brushes, abrasive scrubbing sponges or any cleaning materials that may have been contaminated with dirt particles, as is commonly the case when washing interior and exterior windows with the same cleaning materials. Some brands of paper towels are coarse enough to put fine scratches in the film, even films with scratch resistant, protective hard coat finish. While these scratches may be too thin to be seen at the beginning, they can damage the polished look of the film over time. 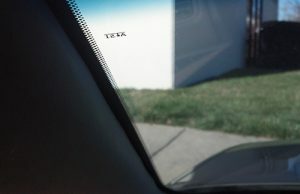 Most cars have a black ceramic ‘frit’ edge on the rear window. Sometimes this ceramic edge is straight and flat, sometimes it will have a dotted edge. These black ceramic dots are quite thick on most cars and prevent the window film from sticking to the area between the dots. This results in a whitish looking strip trimming the glass. Typically this isn’t very noticeable, however some cars have a wide band of dots trimming the top of the rear window. This area is so wide that the whitish looking area created is more pronounced. Unfortunately, the effect is unavoidable. At night you may notice that the light from headlights will reflect off of the defogger lines. This is caused by the film having to bend slightly around the raised defogger line, varies from car to car, and there is nothing that can be done about it. 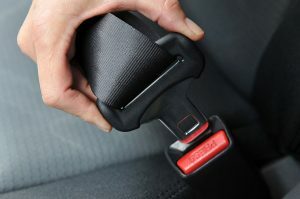 Caution should be used when releasing seat belts. Small chips can be made in the window film due to the seat belt hitting the glass as it is released. This is not covered by warranty. Though we strive for perfection in our installations, due to the nature of the product, some degree of dust contamination and/or minor imperfections are present in every window film application. Also, pre-existing flaws or scratches and metal deposits on the glass are often much more noticeable after the windows are tinted. If you have any questions about getting your windows tinted, please contact us or stop by one of our stores to see tint shade samples and get more info! This entry was posted in Uncategorized on June 19, 2018 by Hollie Prater.